She wants your son and she wants your life. 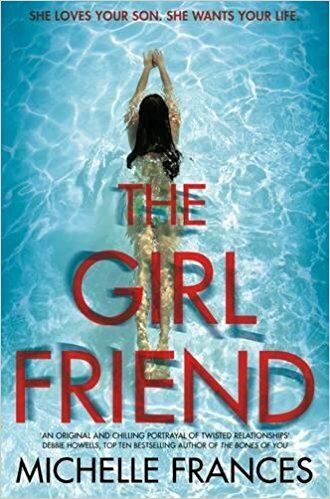 The girlfriend, every mothers worse nightmare i think, that her son meets and falls in love with a women who is not completely what she seems to be. The girlfriend is about Laura and her son Daniel. They are in the wealthier percentage of families in London. Daniel is studying to be a doctor and when he decides he need a flat of his own for when he starts working in the hospital he goes into an estate agents where he meets Cherry. Daniel and Cherry hit it off and its not long before he's taking her home to meet the parents. Cherry comes from the poorer percentage of families in London. Laura and Cherry do not hit it off from the get go and well things do not improve from there. As time goes on and Daniel and Cherry grow closer, Laura becomes more and more convinced there is something not quiet right about Cherry. After an accident that puts Daniel in a coma, a lie from Laura and the truth finally coming out. Will Daniel see through Cherry and discover what she's really like before its too late? How far will Cherry go to get Daniel and the life she believes she deserves? This book was chosen as part of my book club. When i read the blurb i was not sure what i thought, i wondered if it was just going to be mum and girlfriend fighting and a bit boring to be honest. I was however, quiet wrong. I found the book to be a little slow to start off with as i was just waiting for something to happen. Once the book got going i was hooked and couldn't put it down. I found myself feeling real sympathy for Laura, especially when it is revealed why she is so protective and wants to be so close to her son. I found myself screaming at the book for Daniel to open his eyes and see what Cherry was really like. When the accident happened and Daniel was in the coma, i actually wanted to weep for Laura with her past and now this. I can understand the lie she told. I think i myself might have done the same thing in her position. I couldn't understand why Daniels mother and father were still together when Howard was never around and had been having an affair for so long, one that Laura is well aware off. In fact i didn't see the point of Howard as a character really he didn't really seem to have much of a part other than the fact that he was Daniel's father. I have chosen to give this book 4 out of 5 stars as i would recommend this book and i have purchased this book. It was on Amazon's kindle deals of the day and i could not be happier with it.